The expo has been successfully run by Underwater360 (UW360) for the past eight years. Under the direction of John Thet, UW360 has overseen the expo’s expansion in size and variety. 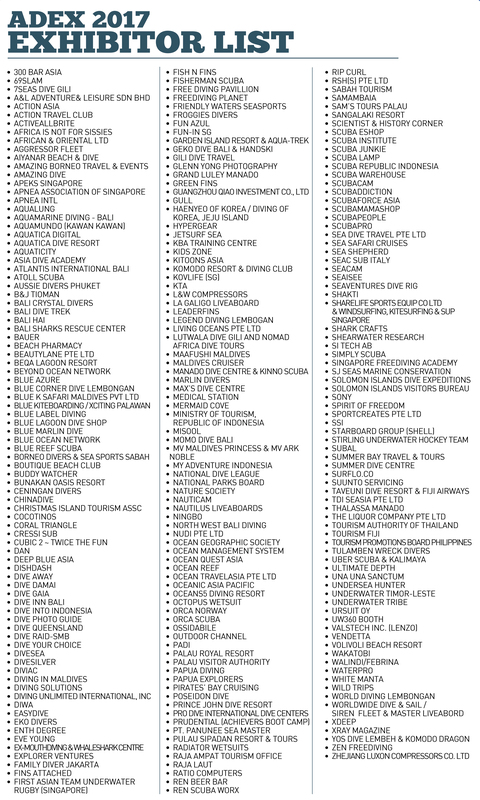 The number of exhibitors increases every year as they see ADEX as a business opportunity where they can network with others in the industry and tap into the tens of thousands of visitors. There has also been an increase in the number of speakers attending, which is in line with ADEX’s educational focus. The big names attract large crowds, and ADEX’s personal and friendly atmosphere means that people freely mingle and chat with speakers. UW360 has kept an emphasis on quality and novelty at ADEX– bringing in exhibitors to showcase their latest technology and inviting pioneering experts to educate and expose our audience. 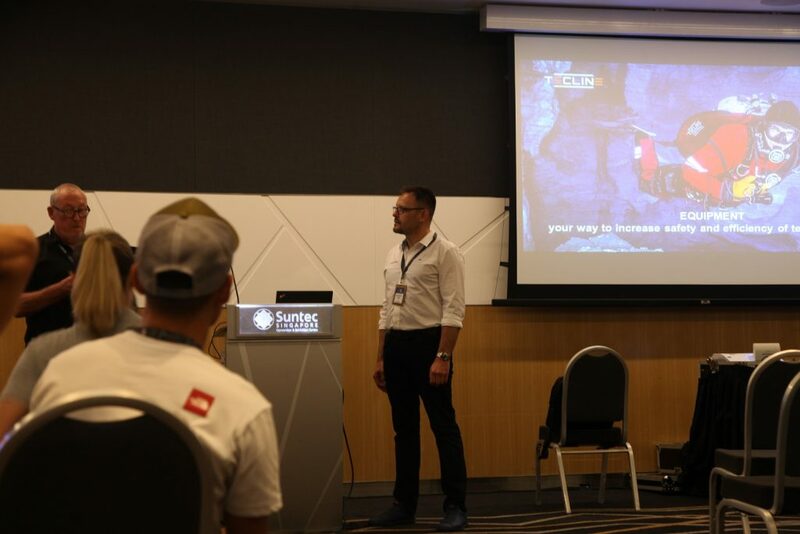 Ultimately, ADEX serves as a creative platform for the diving community – giving them a voice and providing a venue where they can meet, exchange ideas, and get recognition for their achievements. The growth of ADEX has continued in 2017 – a record breaking 60,296 people attended the expo over the course of its three days. 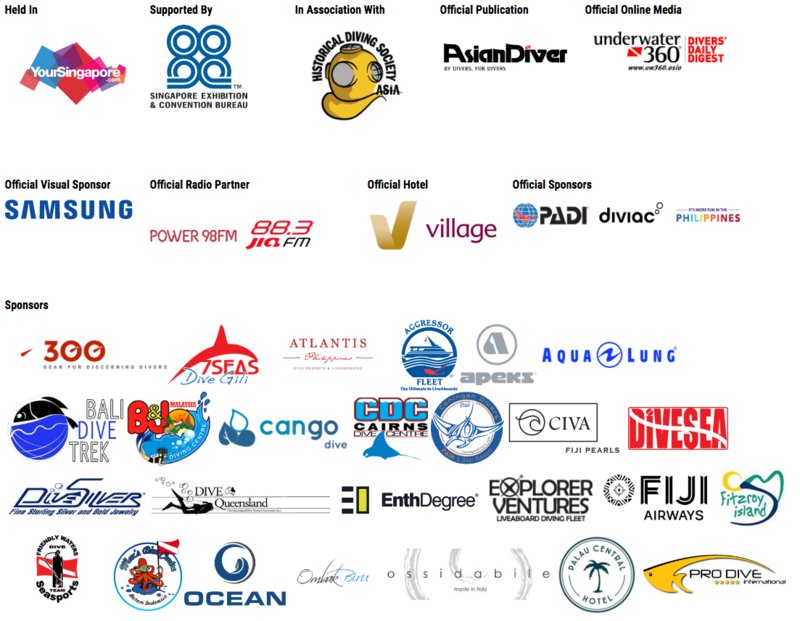 These people range from those who want to check out the latest gear and technology, find the best dive courses and trips, and learn more about the pioneering work of the industry’s leading figures. Underlying ADEX is a focus on conservation, and John has gone to great lengths to reinvigorate this purpose. 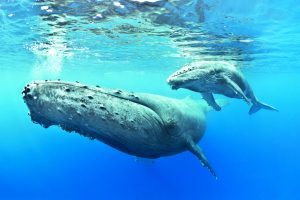 Everything that takes place in ADEX is tied back to this – whether it be businesses that commit to sustainability, presentations to divers on the things they can do to help protect our oceans, or photography competitions that draw attention to the beauty of our oceans and the impending danger they face. 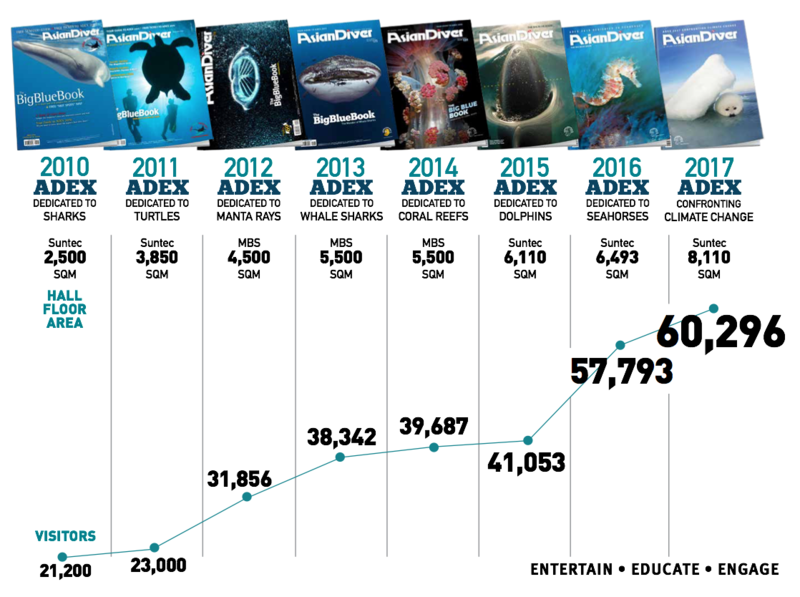 ADEX is indeed “more than just a dive show”. In previous events, each show has been dedicated to an iconic marine species, with activities designed to heighten conservation awareness. However, ADEX 2017 mixed things up a bit. The pressing threat of rising sea levels and the drastic effects on the oceans and marine life caused by our carelessness, prompted this ADEX to be dedicated to climate change. The diving and water sporting communities are the ambassadors of our oceans – they can see the damage that has been done first-hand. 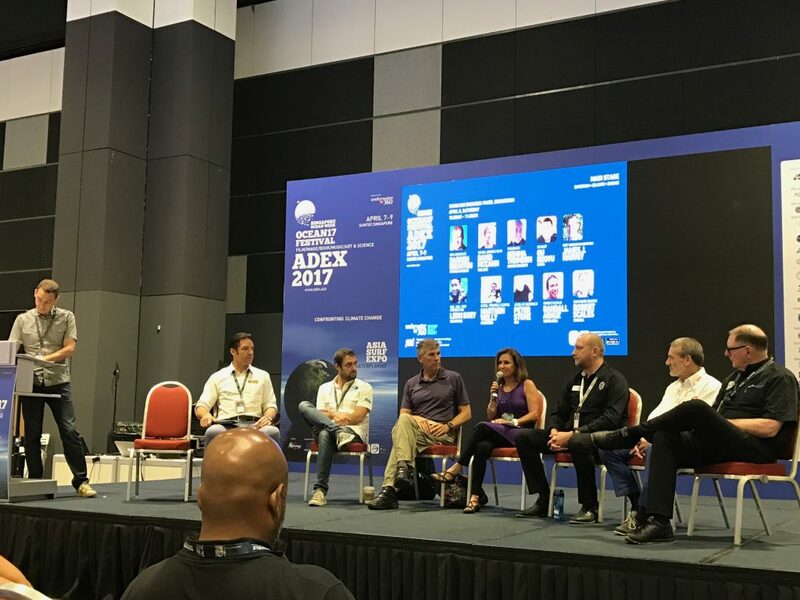 ADEX 2017 featured numerous talks from scientists and conservationists, designed to raise awareness about what we can do to help make a change. The event took place from 7-9 April, 2017, at the Suntec Singapore International Convention and Exhibition Centre, Halls 401 to 404. 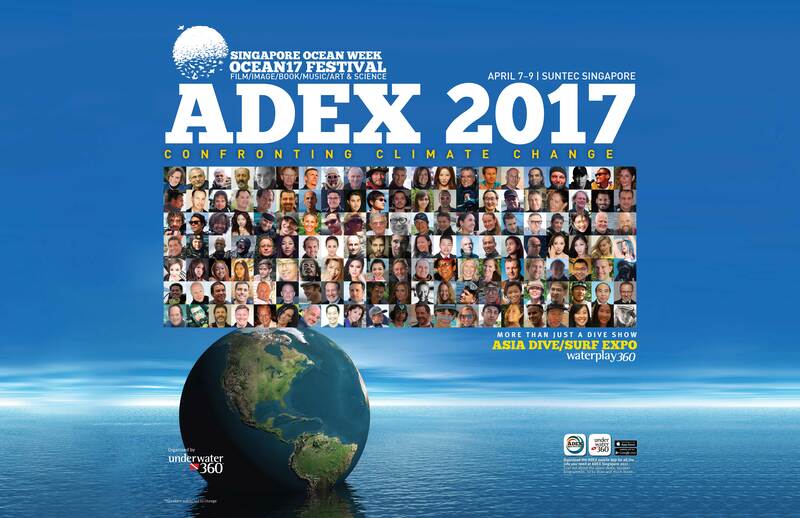 In accordance with the theme, ADEX 2017 introduced audiences to world-renowned figures leading the charge against climate change, such as Dr Sylvia Earle, Clive Wilkinson, and Captain Paul Watson. They delivered informative and inspirational presentations, sending messages of action and awareness. 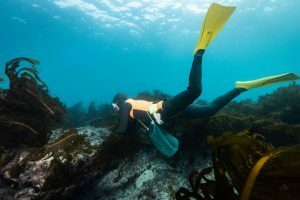 There were a multitude of other speakers, ranging from underwater photographers, videographers, conservationists, scuba divers, tech divers, freedivers, trade speakers, kitesurfers – and even mermaids! The educational variety was coupled with entertainment: A swimming pool where people were allowed to dive and snorkel, a kids’ zone, performances by mermaids, and so much more! 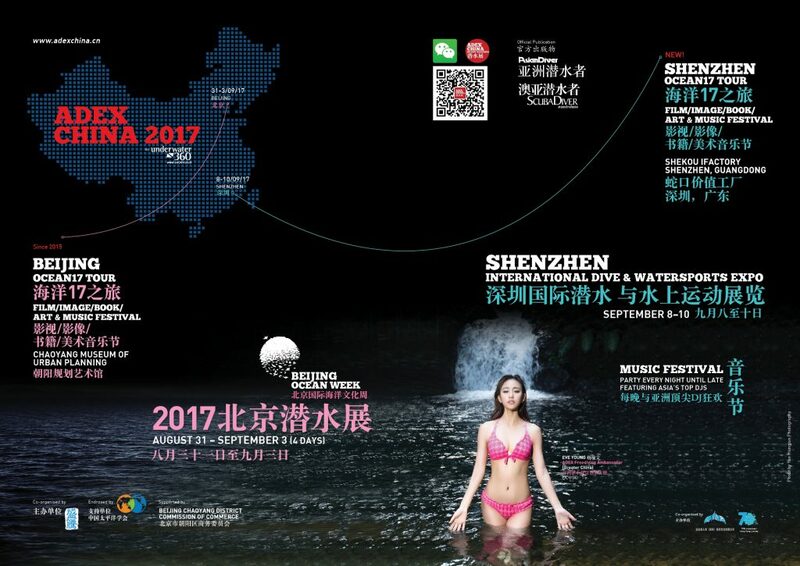 ADEX 2017 also saw the introduction of the watersports community with the Asia Surf Expo within ADEX, which was planned in association with KTA. 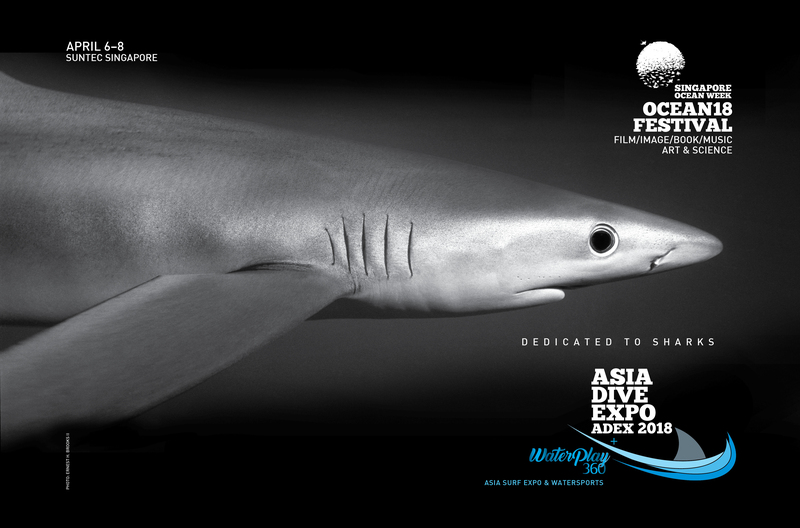 The ADEX official publication, Asian Diver, has an annual ADEX special edition called “The Big Blue Book”. It is designed to be the ultimate reference guide, with the bulk of the publication focusing on ADEX’s theme for the year. This collector’s edition features premium photographs, world­-class articles, infographics, and scientific overviews. 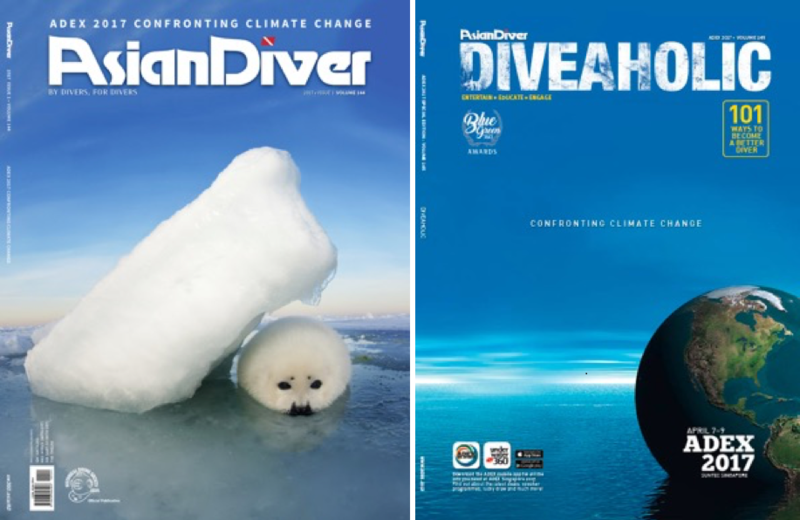 Accompanying the magazine at ADEX is Asian Diver’s Diveaholic Issue, which served as a show guide for ADEX 2017, and included event information, speaker details, and schedules. UW360 is a platform where divers can get information and share their experiences on everything relating to our liquid planet. 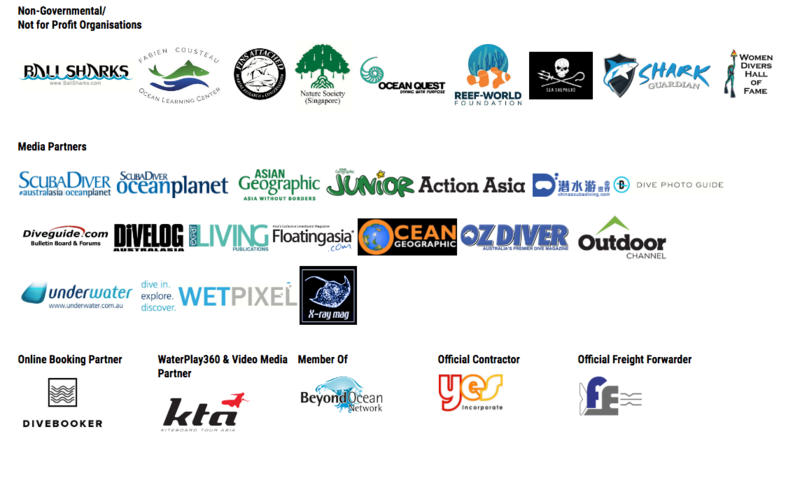 It is also a partnership between the three dive industry giants of the Asia‐Pacific region: Scuba Diver AUSTRALASIA/OCEAN PLANET, Asian Diver and ADEX. Combined, these three champions of the sea bring over 70 years of scuba diving experience to the table. UW360 presents content that is enriched with multimedia, blogs, forums, and access to all mobile and tablet platforms. This year, Underwater360 launched its own mobile app. Through the app, users are able to browse through the multitude of content that is currently available on the website, be it articles, videos or images. The app also allows users to quickly book dive trips, buy merchandise and read the latest issues of Asian Diver and Scuba Diver. With plans to extend this app to support ADEX, look out for this app at the next ADEX Singapore. 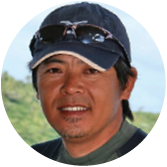 John Thet is the founder and head of the Underwater360 group: Chief Executive Director of Asia Dive Expo (ADEX): Publisher and Editorial Director of UW360’s diving magazines – Asian Diver, Scuba Diver AUSTRALASIA and Scuba Diver OCEAN PLANET: As well as ASIAN Geographic, ASIAN Geographic Passport, and ASIAN Geographic Junior. He is also the founder of the Historical Diving Society Asia, and the Beyond Ocean Network (BON). Sea level rise poses a severe threat to small islands across the globe. Today, these islands face additional causes for concern owing to reduced freshwater access, and increasing aridity. According to a new study published in Nature Climate, climate change may cause 73 percent of the world’s small islands to dry out by 2050. This is greater than previous estimates which indicated that 50 percent of the islands would become drier. It is my personal belief that everyone can do their part to help protect our planet. Whichever way you look at it, we are all inextricably linked to our oceans. 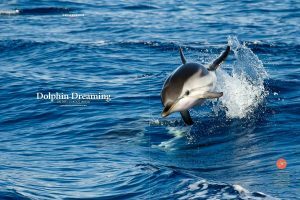 Then, there are those who go the extra mile, from the campaigners who fight their entire lives to save marine species, to the divers who seek refuge in the big blue. Continuing my mission to liberate the inner diver that I believe is hidden away in just about everyone, I aim to learn with, lead, and inspire the coming generations of scuba divers to look below the waves and change the way they – and the world – view our oceans. This is why I strive to support this industry through the Underwater360 group, and why we work tirelessly to encourage people to explore the beauty beneath the waves – fighting to sustain an ocean that we can all enjoy. Since Asian Geographic took over ADEX eight years ago, we’ve watched the show grow from strength-to-strength. Reaching this year’s milestone, it’s only fitting that we reflect on our humble beginnings and show our appreciation for all who have contributed over the years in making ADEX the success story that it is today. So, thank you to the many exhibitors, sponsors, speakers, volunteers and visitors who have supported us. 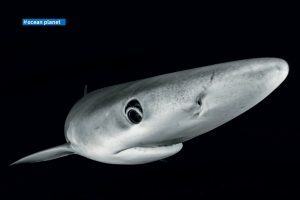 This year, we invited world-renowned artists, conservationists and photographers to speak about their respective passions and experiences working with marine life. 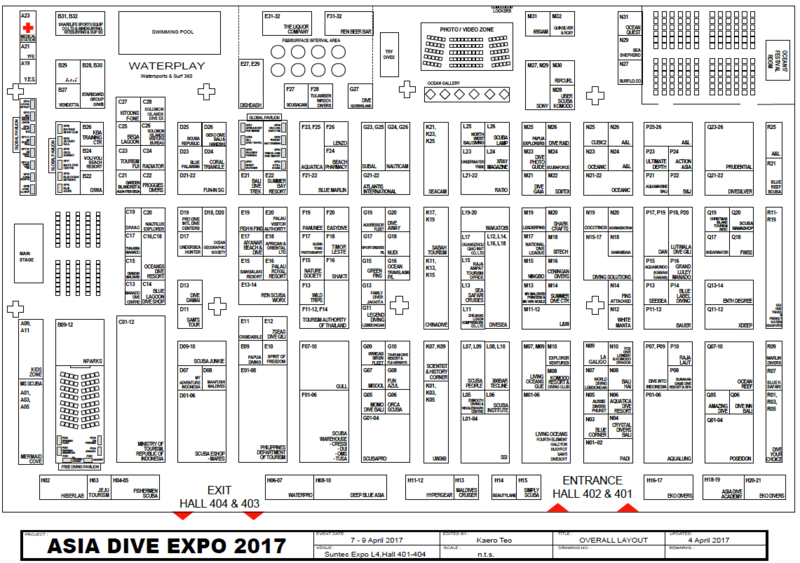 Also, for the first time in dive expo history, attendees will enjoy a whole new experience owing to the inclusion of watersports. 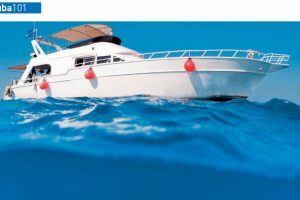 From surfing to wakeboarding and boating, there is something for everyone at ADEX – whether you’ve been diving for years, or you’re just starting to dip your toes into the water. Whichever position you find yourself in, there’s never been a more prudent time to confront the challenges facing our liquid planet. John Thet gave his opening address and announced the main highlights and activities of ADEX 2017. The also expounded a very important message about climate change. This year, ADEX was honoured and privileged to have Dr Sylvia A. Earle as ADEX Guest of Honour (International) and Mr José Ramos-Horta as ADEX Guest of Honour (Asia). Both esteemed guests officiated the Grand opening of ADEX 2017. ADEX also invited Dr Clive Wilkinson to be the ADEX Keynote Speaker for Climate Change. Dr Clive Wilkinson is a former coordinator of the Global Coral Reef Monitoring Network. 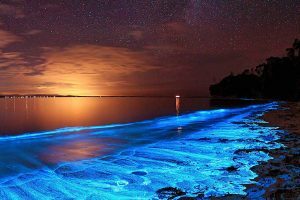 He was previously the chief technical advisor for a coastal resource research programme, and an active field scientist on the ecology of the Great Barrier Reef at the Australian Institute of Marine Science. Three businesses and one individual championing conservation and sustainable business practices in the marine tourism industry were honoured at the first ever Bluegreen360 Awards. Supported by Blue Ocean Business Summit and Green Fins, the Bluegreen360 Awards celebrates businesses and individuals in the marine tourism industry – pioneers who are dedicated to inspiring and championing sustainable solutions in their day-to-day operations and sharing their invaluable knowledge and resources with the wider community. It also aims to highlight the value of healthy marine and coastal ecosystems to the industry. 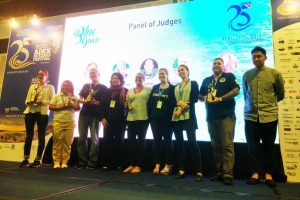 The winners were selected from more than a dozen nominees and judged by marine conservation technical experts from the Coral Triangle Center (CTC), United Nations Environmental Programme and Reef-World Foundation, in collaboration with the organizers of the Asia Dive Expo. This Historical Diving Society of Asia conveyed a special award to the Hae-Nyeo divers for their contribution to the diving industry. 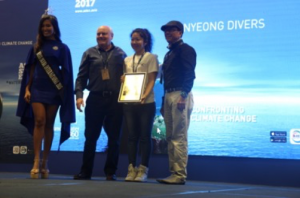 Mr Bob Ramsay, President for the Historical Diving Society Asia, gave the award to Ms Yzin Kim, representative of the Hae-Nyeo divers during the opening ceremony at ADEX 2017. 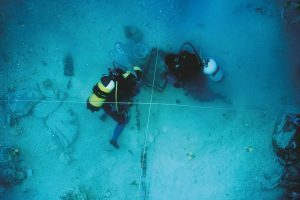 For the 2018 award, the Historical Diving Society is now receiving nominations. In 2016, ADEX hosted the Hae-Nyeo divers. They were one of the main highlights of the show. The audience got to know about the history of Hae-Nyeo divers, their semi-matriarchal culture, as well as the role they have played in the development of diving. Following from the expo, the Hae-Nyeo were placed on the UNESCO listing of Intangible Cultural Heritage. During the ADEX 2017 opening ceremony, Mr Ha Jeong Min, Chairman of the Korean Public Art Association, presented an award to Mr John Thet on behalf of the Hae-Nyeo divers. This was in appreciation of John’s efforts to provide a platform for the Hae-Nyeo at ADEX, which in turn raised public awareness and was instrumental in getting them recognised by UNESCO. During the opening ceremony, the team behind ADEX China shared their vision and pointed out some of the highlights of the coming events at Beijing and Shenzhen. With Mr Han Dong representing Beijing, and Dada Li and Connie Chan representing Shenzhen, they introduced the dates of both ADEX Beijing, which would be from 31 Aug 2017 to 3 Sept 2017, and ADEX Shenzhen, which will be from 8 Sept 2017 to 10 Sept 2017. Joyce Tang is a Hong Kong actress and PADI rescue diver. Best known for her leading roles in Armed Reaction and Beauty Knows No Pain, she started her diving journey in 2012 and hopes to gain more knowledge on dive safety and rescue so that she can help others when in need. A.G Saño is a professional photographer whose work has been featured around the world. 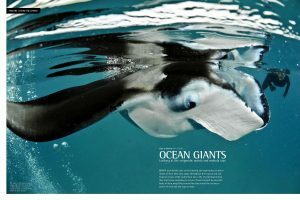 He is also a conservationist who has been involved with researching Cetacea. 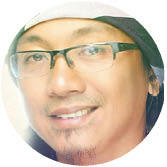 He has collaborated with institutions like the WWF and Greenpeace. 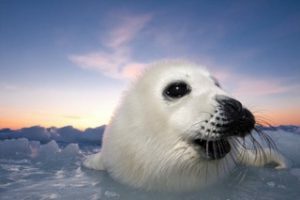 He also co-founded balyena.org – a non-profit group focused on marine mammal conservation. 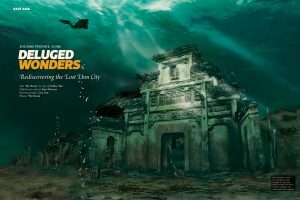 Aaron Wong is one of the most accomplished underwater photographers in Asia. With over a decade of field experience, Aaron’s images – which employ his trademark lighting technique – have won him international acclaim. 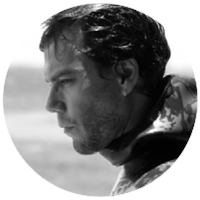 Pepe Arcos is an award-winning underwater shooter and former freediving champion. 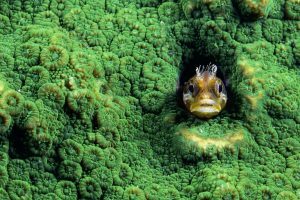 Holding his breath for minutes at a time, allowing him to capture ethereal images, Pepe has documented aspects of the underwater world that even the fastest scuba divers fail to get. 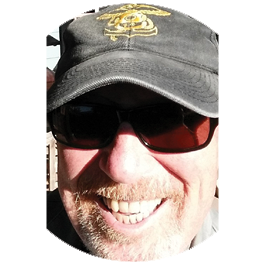 With a background in military, commercial, recreational and technical diving, David Strike has authored several hundred diving articles. 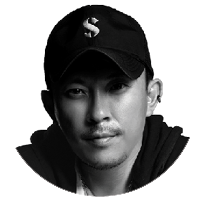 He is the recipient of the ADEX Lifetime Achievement Award. 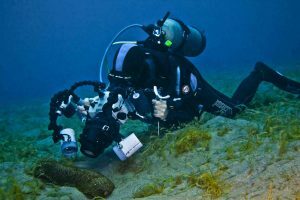 He is also a fellow of the Explorers Club of New York, and is the former owner and organiser of the OZTeK Technical Diving Conference. 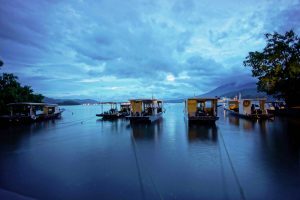 Tim Ho is actively involved in today’s underwater compact camera scene in Malaysia. He uses simple set-ups in his technical approach, and teaches his preferred methods to other photography enthusiasts. Dada Li, is the first Chinese female PADI master freediver instructor and AIDA international freediving instructor and judge. She single handedly created the first professional underwater performance team composed only of freedivers. 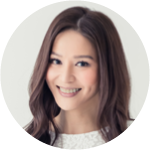 She has been interviewed by Reuters, China Central Television, Guangdong TV, and Jiangsu TV. Alexey Molchanov has set the new Constant Weight (CWT) Freediving World Record. The freediving superstar broke his own AIDA World Record in Constant Weight (CWT) by diving to 129 metres in three minutes 50 seconds. Hidy started modeling at the age of 18 and was selected as the Miss Scuba International ambassador. She is a NAUI-qualified dive instructor and is also a Naui Worldwide Ambassador. Alongside her diving career, Hidy has acted in three action movies. Eve Young was a participant in the Lijiang Oriental Girl contest and won the Yunnan division title, followed by the national title. She later became a professional hostess, an actress, and a model. However, Eve’s first love is professional diving, and conserving the beauty of our oceans. 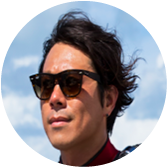 The Asian Diver field editor for China, Wu Li Xin, is a technical diver and professional underwater photographer who has accumulated numerous fans. Besides being an avid underwater explorer, Wu is also a contract photographer with Chinese National Geography, and is also a member of the China Artistic Photography Academy. Yorko Summer is a well-known underwater photographer from Taiwan. 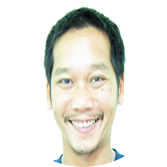 He is also a senior diving instructor, travel journalist, and photography lecturer. 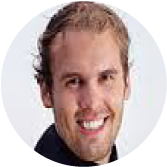 His work has earned him his a well-regarded reputation in the industry. 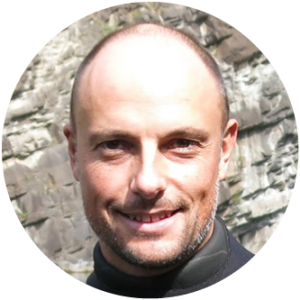 Jean-Pol Francois is a professional freediving instructor and the head of education at AIDA International and PADI IT. He is a national world record holder with over 25 years of freediving experience. 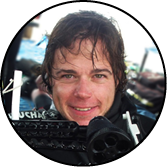 Bart Lukasik is a professional underwater videographer and dive expedition guide, who has worked on projects on the East coast of Southern Africa. Bart’s work has been published worldwide by respected natural history content providers. Syrena, Singapore’s first mermaid, is the founder of the Singapore Mermaid School. 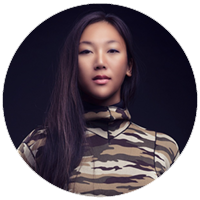 She is a pioneer of the latest mermaid movement in Asia, championing strength, beauty, and love as core mermaid values. Shark Guardian led activities in the Kids Zone, which was well visited by children of all ages, as well as their parents, who also got involved. The most sought after activity was getting the temporary shark tattoos – once these were seen by others throughout the show, people of all ages were coming to visit the kids zone. The shark drone balloons were an eye-catching feature, especially when they were seen flying through the hall on their “walks”! Various people of all ages got involved in racing them around the ADEX corridors. The kids and adults all signed a pledge poster declaring their love for sharks and the oceans, and committed themselves to never eating or buying shark products. Videos and presentations were looped on the TVs so that people could sit and learn about sharks, as well as other marine creatures. The colouring station was always busy, and the Shark Guardian team were on hand to answer any questions. The dive community is the beating heart of ADEX – a place that gives divers a voice and provides a platform for them to meet, exchange ideas, and showcase their achievements. In keeping with this, John Thet wanted to “take it to the next level,” and so he created Ocean17: A series of festival celebrations featuring a plethora of events, activities, exhibitions and workshops. This year, it covered various art styles: Films, images, books, music, art and science. 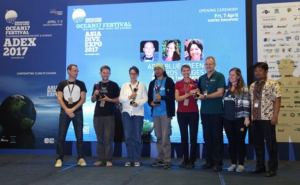 This was also an opportunity for divers to receive recognition and acclamation for their efforts and achievements, with 17 of the top speakers being selected for awards. Such was the positive reception that there will be a continuation of this festival format next year with the Ocean18 Festival at ADEX (where 18 of the top speakers will receive awards! ), as well as festivals at the respective ADEX China in both Beijing and Shenzhen, with plans to expand the tour around the world! 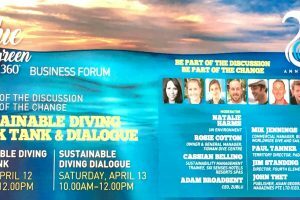 The Scuba360 Business Forum provides an unprecedented opportunity to openly discuss sustainability within the diving industry. 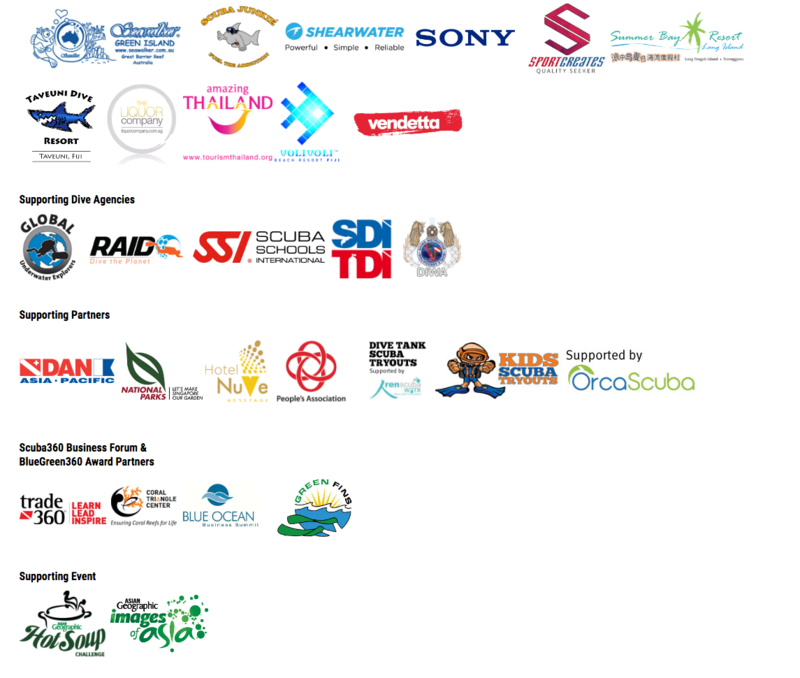 This year was no exception: Co-organised by Coral Triangle Center, all segments of the diving industry gathered together to discuss the future resilience of the diving business. Held on Friday in Suntec Singapore’s Seminar Room 311, ADEX Scuba360 Sustainable Diving Think Tank and Dialogue had industry leaders and key players such as Chloe Harvey, Laurie Wilson, Dr. Sylvia Earle and Howard and Michele Hall present subjects from sustainable dive tourism to career possibilities for the disabled. The Freediving Pavilion was buzzing with activity as crowds gathered to hear the presentations unfolding. We heard from some of the most recognisable names in freediving: They talked about their love for the sport, their achievements in the field, and many took the time to combat a perception of freediving as a dangerous sport. Speakers also showcased their photos and videos of the underwater world, introduced the audience to some of the latest kit, talked about new trends such as underwater hockey and rugby, and finally – as per the theme of ADEX – expounded on important environmental messages relating to climate change, with a particular emphasis on marine life research and conservation. 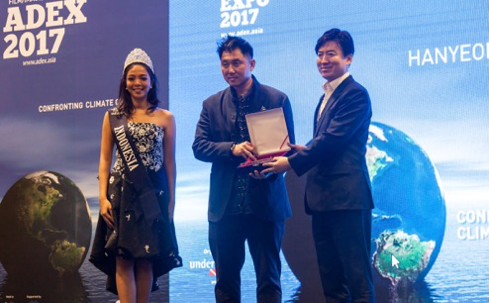 ADEX organised a gala event in celebration of the launch of ADEX Ocean17 Festival, in conjunction with Singapore Ocean Week. The Big Blue Evening was a celebration of underwater images, films, music, art, and science. It was emceed by Mr Leslie Leaney from the Historical Diving Society Asia. Speakers included A.G. Sano, who talked about how he uses art to raise awareness about climate change: The ADEX Climate Change Heroes, who spoke about how they are on a mission to save the planet: As well as Laurent Ballesta, who uses his amazing images of his expedition to the Arctic to drive home the extent of our world’s suffering. 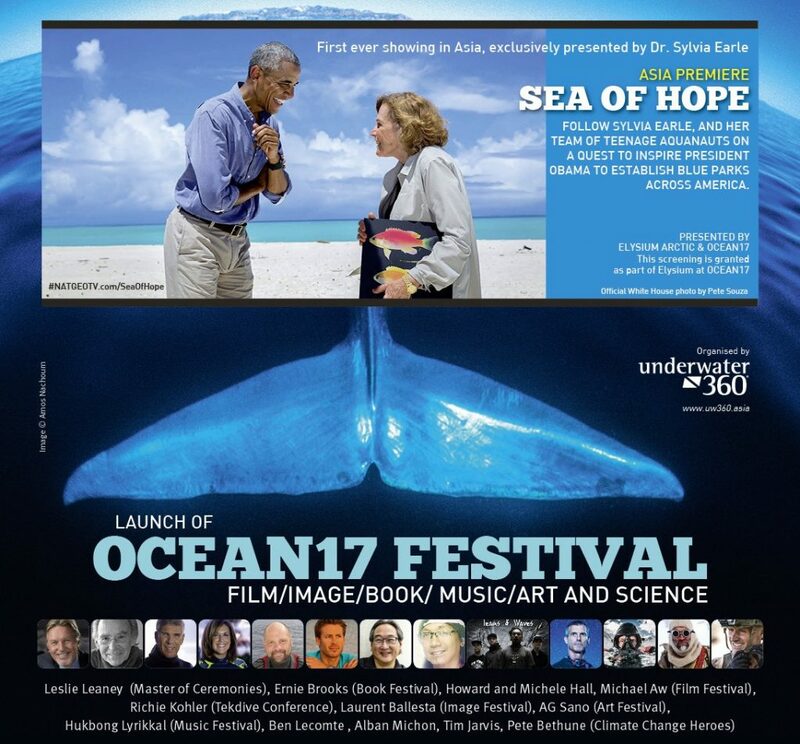 The evening ended with the premiere screening of Dr Sylvia A. Earle’s newest work, Sea of Hope, which was screened for the first time ever in the Asia region. 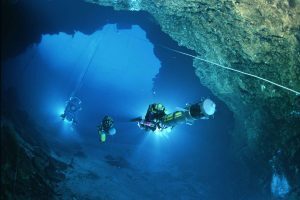 Gathered here were speakers, enthusiasts, and those curious to learn more – driven by the desire to explore the confines of a cave, a wreck, or find undiscovered life forms lurking in the deeper ocean trenches. 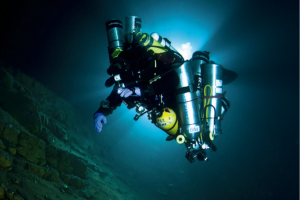 This conference has become a go-to place for those who are passionate about technical diving: A place where they can network, share their experiences and tap into knowledge from the veterans and experts. 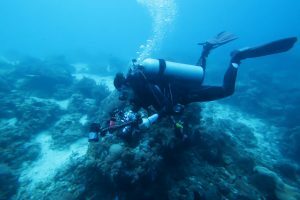 The various presentations included topics on prime underwater environments, technical diving adventures and experiences, as well as technologies. 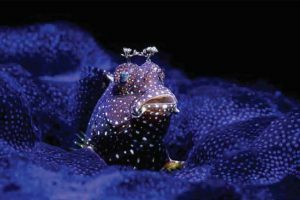 The conference this year showcased some of the world’s most compelling and challenging dives, once again demonstrating the impressive achievements of many of the planet’s foremost tek divers. As in previous years, the invited speakers shared their extensive knowledge and experience, and took questions from the attentive audience. 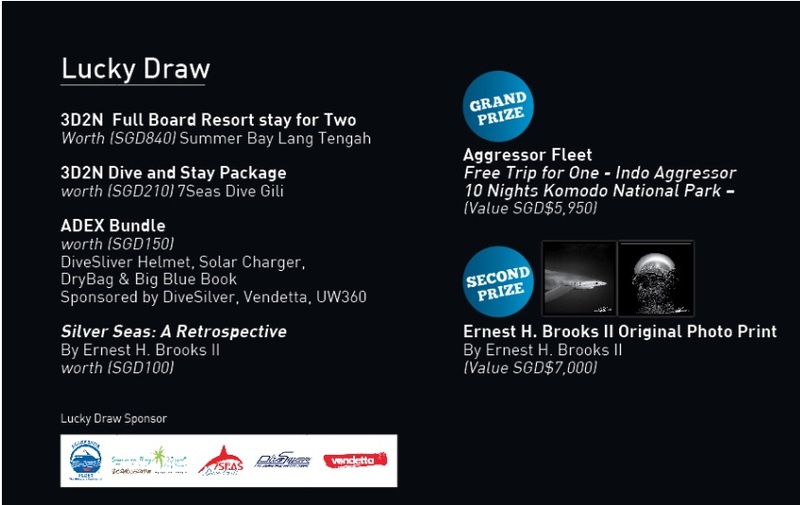 At the end of the TekDive Conference, a lucky draw was held and one lucky winner walked away with a 7SEAS Dive Gili 5D4N Dive and Accommodation package, while another lucky winner took home a Shearwater Perdix. Famously one of the most riveting focal points of ADEX, the ADEX 2017 Photo Video Zone, was (once again) a back-to-back smorgasbord of iconic personalities, stunning images, and insider tips on how the pros capture their award-winning pictures. It was standing room only for most presentations, with crowds lured in by underwater-image-making super stars. Legends like Laurent Ballesta, Marty Snyderman, Aaron Wong, Imran Ahmad, Michael Aw and Tim Ho wowed audiences with tales of adventure, breath-taking images, and invaluable insights. Speakers made themselves available after their talks to meet and greet fans, answer questions, and provide inspiration for aspiring shooters starting out on their love affairs with underwater photography. We can’t wait for next year’s line up! The Photo Video Zone was also the home of the ADEX Ocean Gallery. 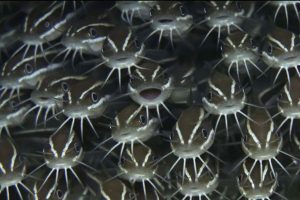 This year, the finalist of the ADEX Voice of The Ocean was shown on one side while the other was dedicated to Seacam showing their underwater images taken with their housing. 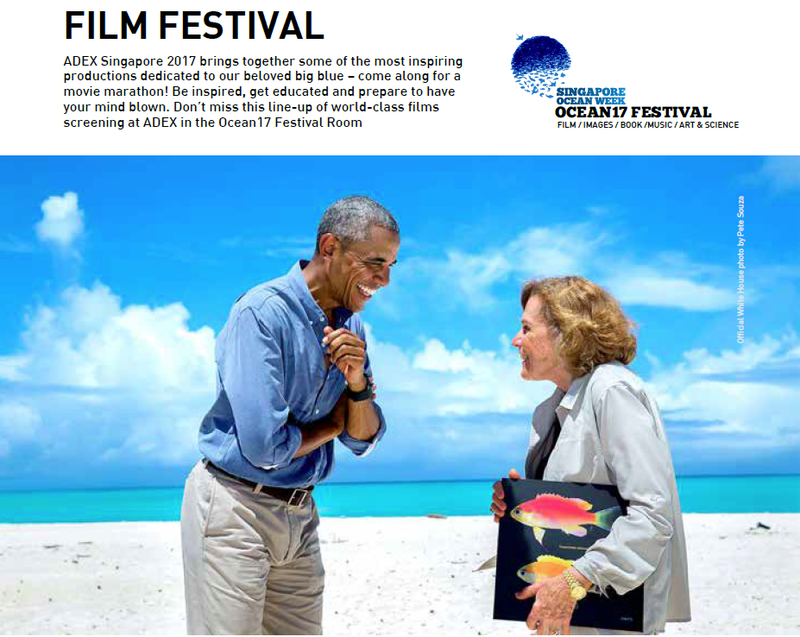 ADEX Singapore­ 2017 brought together a series of topical environmental productions to its film festival this year, in line with the event’s mission to confront climate change and generate awareness as to how we can conserve our beautiful big blue. Headlining the first day’s programme was Revolution by the late Rob Stewart – a pioneering filmmaker who lead the charge in educating the world about the shark finning crisis with his award-winning film, Sharkwater. The opening Big Blue Evening showcased the iconic work of ADEX Guest of Honour, Dr Sylvia Earle, with her film Sea of Hope, which charts her quest to establish blue parks across America. The festival also featured the exclusive Hope1000 talk by Dr Earle, who shared highlights from her impressive career as an oceanographer, explorer and scientist. 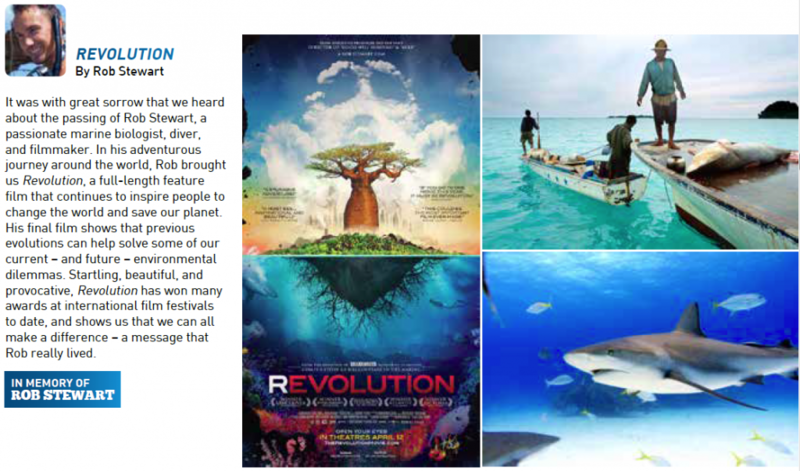 The film festival exhibited the work of independent filmmakers focusing on the impacts of climate change, such as The Jetlagged’s We Live Underwater and The Pale Horse – Coral Apocalypse, and Adrienne Gittus’ A Fish Full of Dollars. 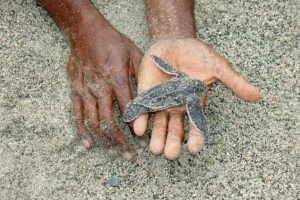 Exceptional Nature documentaries revealed the extraordinary diversity of our liquid planet’s life, such as Bart Lukasik’s The Lagoon and Eyes on Sondwana Bay, Cristian Dimitrius’ Paradise Coast, Howard and Michele Hall’s Seasons of the Sea, and the astonishing macro short film by Evan Sherman, The Not So Silent World. The line-up also presented the fascinating explorative journeys of Richie Kohler in Legacy of the Britannic, and Michon Alban’s breath-taking kayaking expedition into the depths of Greenland in The Ice Trap. 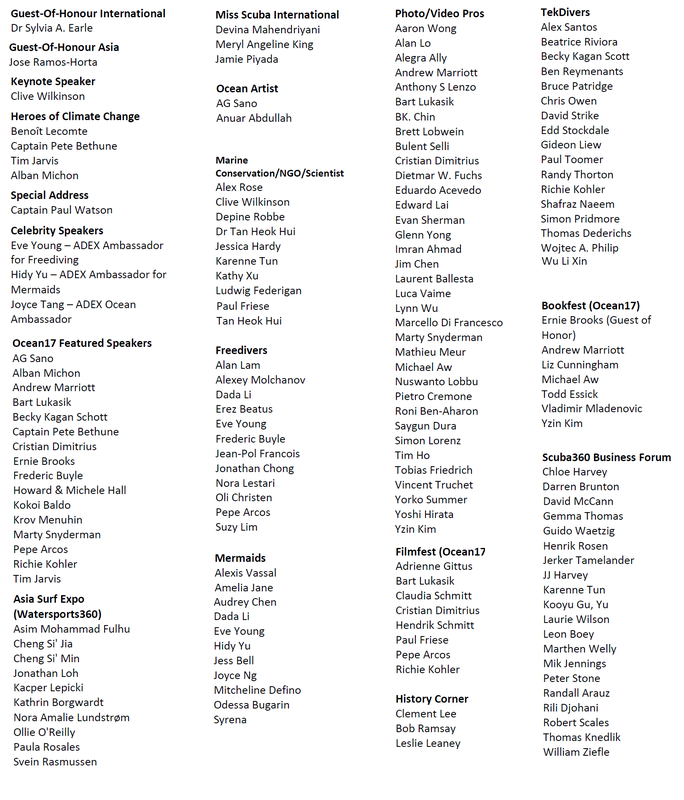 The Ocean17 Festival Room played host to the ADEX Heroes of Climate Change on the final day of the event. Benoit Lecomte – the first man to swim across the Atlantic – discussed his next project, The Longest Swim, in which he will attempt to swim across the Pacific Ocean. 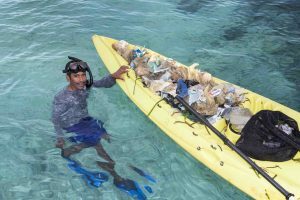 He is partnering with several scientists and researchers for the project, with the aim of raising awareness about the current state of our oceans – particularly plastic pollution – and the impact of climate change on our planet. Michon Alban returned to the stage to discuss his impending polar expedition, Arktic, which aims to raise awareness surrounding the threats posed by global warming and increasing commercial activity in the Northwest Passage. He was joined by fellow explorer and environmental scientist Tim Jarvis, who discussed his epic voyage that followed in the footsteps of Ernest Shackleton, as well as his new project, 25Zero, which aims to generate awareness about melting mountain glaciers. Jarvis will summit 25 mountain peaks along the equator over the course of two years. The event was concluded with a presentation by environmental warrior and anti-whaling activist Captain Peter Bethune, who holds a world record for circumnavigating the world in Earthrace – powered by 100% biofuel. He discussed his TV show The Operatives, which follows a team of extreme conservationists as they travel the world exposing environmental criminals. With WaterPlay360, for the first time in Dive Expo History, visitors were treated to a whole new experience at ADEX, where they were able to learn about various watersports and experience them first-hand! Some of things they got to try out included Stand-Up Board Paddling, Underwater Hockey, Underwater Rugby and much more! The try-dives and swimming pool attracted lots of attention from day one. While children and non-divers were allowed to have their first experiences of diving under the close supervision of professional diving instructors, other dive enthusiasts took to the swimming tank to try their hand at fin swimming and underwater hockey and rugby. Professional freedivers Dada Li, Jonathan Chong and Jean-Pol Francois, conducted workshops for participants wanting to experience freediving for the first time, giving them the chance to get up close and personal with the sport’s experts. ADEX attendees were in for a treat as the mythical sirens of the sea came alive at ADEX, performing in the dive tank, swimming in the pool and posing for photographs at the Mermaid Cove. There were gasps of awe and wide smiles all around as Mermaids Hidy Yu, Dada Li, Eve Young, Syrena and Odessa Bugarin (just to mention a few) entertained and engaged with the masses. Adults and children alike were captured by the beauty of the mermaids and huge crowds formed around the performance locations. Despite being from different parts of the world, the mermaids, some who are accomplished scuba divers, freedivers and underwater photographers, share a common mission – to share their passion for the ocean and educate their captive audience about marine conservation and the protection of its creatures. 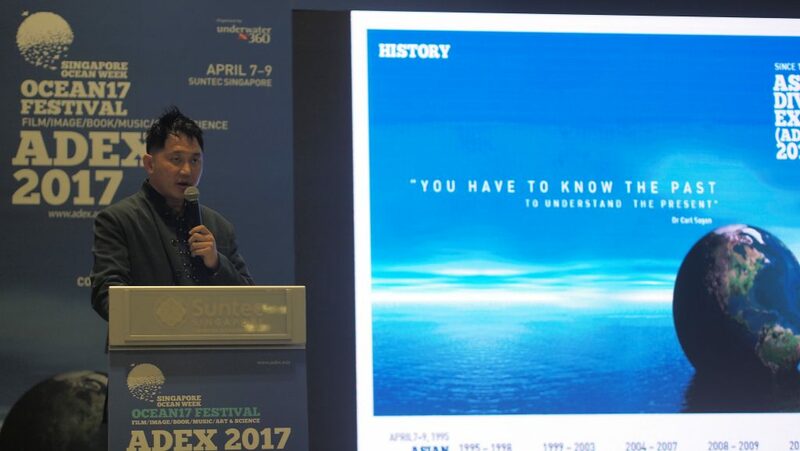 ADEX Singapore 2017 saw the launch of the Asian Divers’ Hall of Fame by the Historical Diving Society Asia at the inaugural induction ceremony. 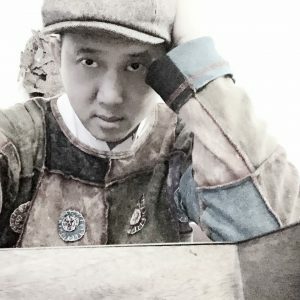 It will be held during ADEX Singapore 2018. The awards have been established to recognise the many hardworking individuals in the industry. ADEX Singapore 2017 also held Round 1 of the Asian Geographic Hot Soup Challenge. In teams of 5, students aged 12-18 from different schools in Singapore pitted it out against each other in a test of their knowledge about Asia. For round 1, teams had to answer questions on climate change. Rounds 2 and 3 will take place on the 8th of July 2017. After the students had completed their papers, they got to enjoy the rest of the dive expo! ADEX 2017 sees the return of artists A.G. Sano and Anuar Abdullah, who used their art as a tool to raise awareness for the theme for ADEX – climate change. They spent the majority of both Saturday and Sunday with members of the public, who helped them complete the piece of art. This year’s exhibitor party was held at Baliza for the first time, supported by BlackWhite Productions. There was a full dinner buffet spread and a free flow alcohol liquid buffet from 0730pm to 1030pm, proudly sponsored by The Liquor Company. Close to 500 exhibitors attended the Exhibitors Party – the highest number ever to date. 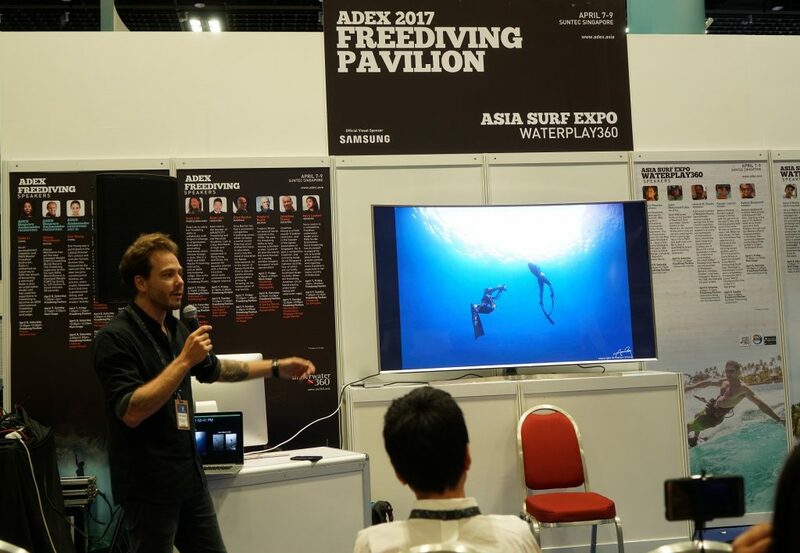 The last day of ADEX is usually when divers and divers‐to‐be go berserk, grabbing the last-minute gear deals, attending as many talks as possible, and making use of their final networking opportunities. 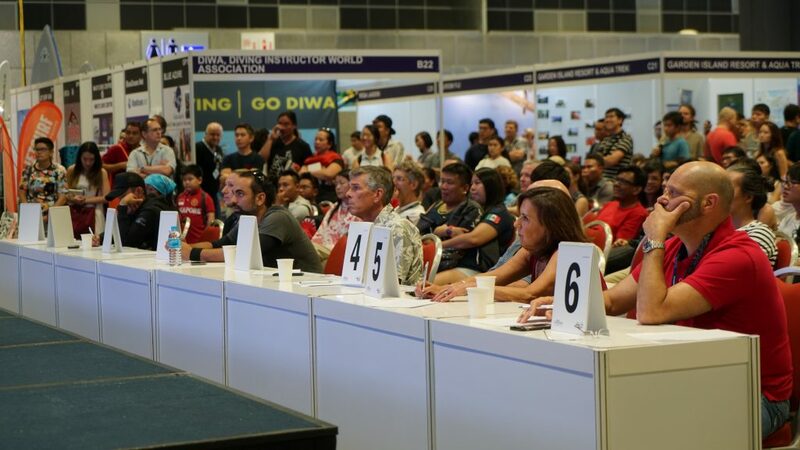 A crowd of over 200 visitors, speakers, trade visitors and exhibitors gathered in front of the main stage, patiently anticipating the start of ADEX Voice Of The Ocean 2017 Competition with live judging. The contest drew entries from all over the world. It was a celebration of visual representations of the ocean and the creatures that inhabit these waters. There was also one extra category dedicated to climate change. For this year, we were honoured to have A.G. Sano, Aaron Wong, Becky Kagan Schott, Cristian Dimitrius, Howard Hall, Michele Hall, Marty Snyderman and Richie Kohler as our judging panel. All lucky draw winners were notified via the ADEX mobile app. In 2018, ADEX will be 23. We plan to make this the best and most comprehensive show yet. It will also be the biggest show thus far, with almost 10,000 square meters of floor space. 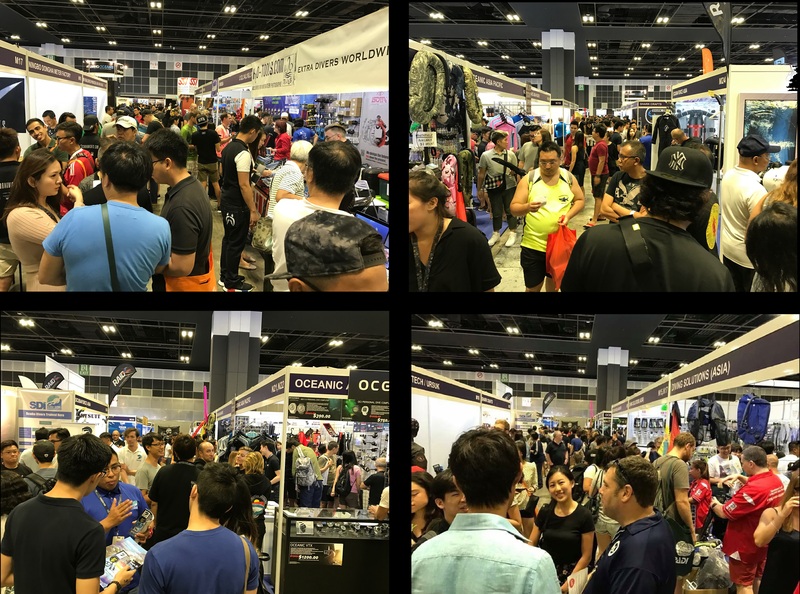 ADEX will continue to bring together the very best of the diving community from Asia-Pacific and the rest of the world, showcasing the industry’s most important diving equipment manufacturers, retailers, training agencies and dive destinations. 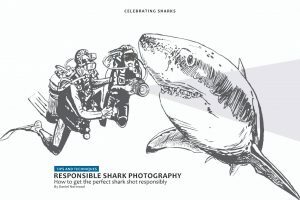 Look forward to workshops and presentations from the world’s most famous photographers, ocean artists, marine conservationists, scientists, tek divers, free divers and more, with hands-on educational activities for children of all ages. 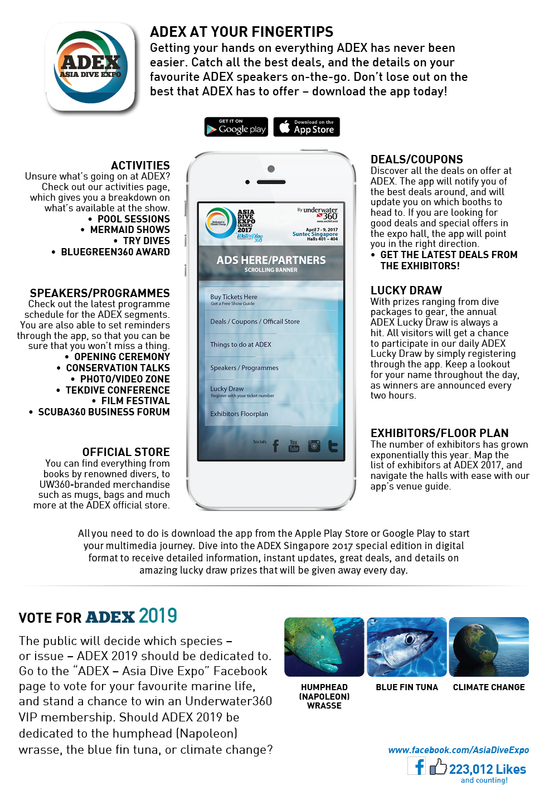 2018 will continue the theme of climate change, with an added focus on sharks – the first marine creature ADEX was dedicated to in 2009. 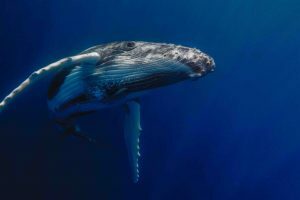 There will be educational presentations on this magnificent animal and how divers can play a part in ensuring that they will continue to be in existence for the next generation. ADEX 2018 will be the place where you can get a well-rounded diving adventure. And since there is so much on offer, there will be something for everyone! From deals, to education, ADEX will be the one-stop for all divers and divers-to-be.